Here is an easy way to import digital photographs into your Metron database. Especially useful for dental practices, once imported these photographs can be used in your dental reports and dental forms. Let's get you set up to email Metron images! Metron relies on a third party email program to send email. We recommend using Mozilla Thunderbird. 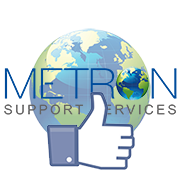 After setup completion, any future emails you wish to send from Metron can be sent by using the "Send" button. 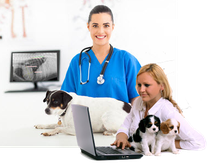 One of the easiest ways to share your X-Ray scans with fellow veterinarians, radiologists, specialists, and clients is to utilize Metron’s built-in “Send E-Mail” feature. Metron can be configured to auto-import images from Dropbox direct to a Metron study. Step-by-step instructions for installing the Dropbox PC Client on the computer that stores your Metron images. Details also provided for installing the DropBox app on IOS for iPads and iPhones. A DICOM file is a combination of patient data and high fidelity image that is often too big to e-mail as an attachment. Metron offers the option to export one or more images to the DICOM format. After export you can share with colleagues, referral practices, etc. via Internet cloud folders like Dropbox. Metron can be set up to auto-export .jpg images of all Metron-acquired X-Rays to a Google Drive folder. All you need is a Gmail/Google account! This document will show you how to create a Google account if needed, plus the steps to sync your Metron images to this Cloud storage configuration. Your clinic may have more than one physical location/site and each produces radiographs. You may also want an easy way to view existing radiographs of site 1 while you are at site 2. 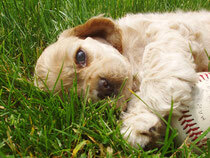 Or you could be at home or on a trip and want easy access to all images from both sites. The following document details how to install and configure Google Drive on your Metron acquisition PCs. The document contains detailed steps to send Metron Image files to the Metron Web-Viewer to display on your Chromebook, Windows tablet or any Android device (including your phone). Note: If you are using a phone to display images, it must have an Android OS System. Steps detailing how to add an existing database from one computer to another so the images can be viewed and utilized at multiple locations. In the Metron Database Browser, the “Export” button can be used to export (save) one or more images to the disk. A “Rule” can be specified to instruct Metron how to name the images and the folders that they are stored into.